Director of Rugby appointed - News - 1st XV - Bolton R.U.F.C. Bolton RUFC are pleased to announce that current Head Coach Dave Crouch will be taking on a expanded role of Director of Rugby at the Club. As Director of Rugby Dave will be responsible for delivering the strategy that allows both senior& junior coaches and players to aspire and achieve at all levels; improving the overall quality of the rugby being played at the Club by all age groups. Dave has a long history in the game both as a player and a coach. Having a successful playing career at Centre for St Mary’s College in Twickenham, Harlequins and Maidenhead, which culminated in representative honours for Berkshire . Retiring due to injury Dave coaching career begun at Aspull where his son Mike was playing there in the Junior section. This then developed into spells at Fylde, Sale and Rochdale alongside substantial involvement in the Lancashire Coaching Committee. 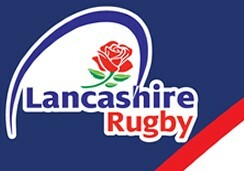 Dave has been Head Coach at Bolton for the past two seasons and is delighted at the opportunity the Director of Rugby role presents.” I am looking forward to helping with the coaching of rugby throughout the club in the years to come, supporting players from 6-60 years old enjoy this fantastic game”.  Walking Rugby Love Walking? Love Rugby? Love a Cuppa? Then walking sports is for you!